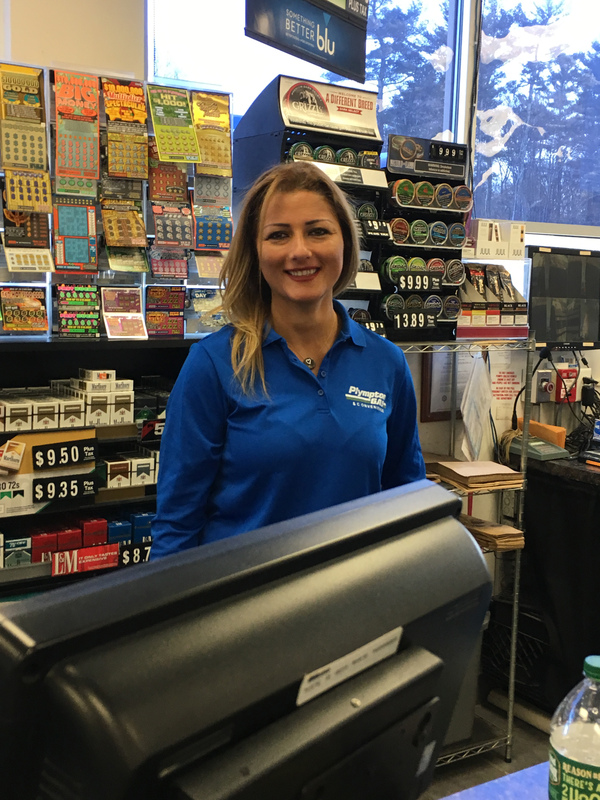 Meet Suzy Youssef, new owner of Plympton Gas and Convenience, 280 Main St., Rte. 58, Plympton. She took her time to find just the right situation, and after two years, found Plympton! Suzy and her husband have two gas stations, but none with a convenience store. The Stoneham and Medford businesses are fairly close to home, but she really likes the hour-long commute which brings her to another world – out of the city and into the country – where horses and trees are common elements, and the city sights and sounds are left behind. Right in the heart of historic Plympton Village, Plympton Gas and Convenience serves its customers 7 days a week, from early until late enough, with competitive gas prices and the convenience of beer, wine, groceries, and of course, lottery. Suzy Youssef, new owner of Plympton Gas and Convenience, hopes one of her customers hits it big in the lottery.